From the start of the next indoor season (November 2013) the WAA will be running a website only league for teams from all the counties. The league will collect Portsmouth scores from November to March (5 sets of scores). Any member of the WAA can be the team leader for one team as long as they have registered on the website and changed their user details to become a team captain. 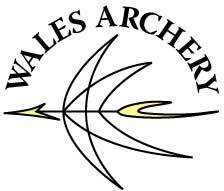 We intend to run divisions (A to H) in Compound, Recurve, Barebow and Longbow. Any mix of male/female , senior/ junior can form a team. You will need to register to use the members area of the website to be ellegible to be a team captain or a team member. There will be a copy of the rules in the members area. Please contact Dave Evans or Martin Nash for more details.